We hope you are having a wonderful new year. We know we are! This past year was full of change. And this year is STILL full of transitions. But we are settling into a groove that seems to be more balanced. Part of the craziness in 2009 involved some business logistics. We have been reevaluating the viability of doing business in the complicated realm of baby products. There are many obstacles on that path, so we have been exploring alternatives. 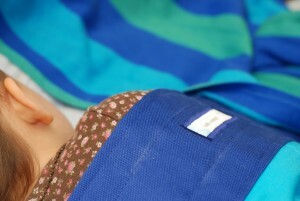 We have been working on the ultimate in babywearing yumminess… a TP pod wrap conversion! We start with a beautiful woven wrap. 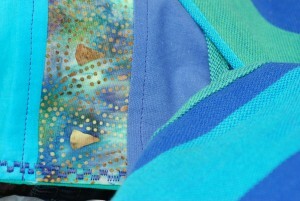 Then we design a one-of-a-kind signature Twilli Pie podegi blanket/body. Then we blend the two! We are taking a limited number of custom orders for TP WPs now, at a special introductory price. Please contact us directly to reserve your wrap conversion slot. However, we have been going through some “life retooling” which required a prolonged pause in Twilli Pie operations. But it’s all good. 🙂 We were so eager to get off to a great start, that we ended up glazing over some foundation steps. Therefore, it’s time to go back and fill in the gaps the RIGHT way. The relocation from Florida to Tennessee has taken some unexpected, yet pleasant turns. We have been diversifying our business efforts and become very involved in a local non-profit group for entrepreneurs, telecommuters and self-employed people. We have also been working on development of the TWILLI PIE WRAP POD. We are almost ready to start production of these. We are updating our Etsy store as well. Stay tuned to us on Twitter (@TwilliPie). New TWILLI PIE pods in stock! We have just stocked our Etsy store with a couple of new pods! Visit the TWILLI PIE store today. Plus we have a special for our friends on FaceBook. Let’s make no bones about it… We are hooked on FaceBook!!! So to fuel everyone’s FB addiction, we are offering a $10 discount to anyone who becomes a fan of TWILLI PIE’s FaceBook page. We are also now taking orders for CUSTOM TWILLI PIE PODEGI baby carriers! If you have an item of clothing (or blanket, or something else that’s special) that isn’t getting the love, but you just CAN’T LET GO OF… let us make it into your own FUNctional, wearable ART! 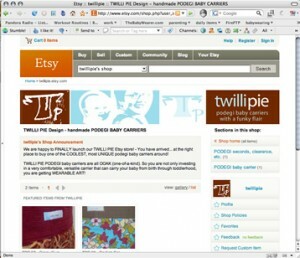 TWILLI PIE hits the stores! we are proud to sell TWILLI PIE PODEGI baby carriers at NKM! When I launched Twilli Pie Design, I never really gave much thought to having a presence in stores. I figured the internet is ubiquitous enough, and worldwide. But I have to say, it sure feels good to have our PODEGI BABY CARRIERS in the store, where people can pick them up, touch the fabric, and get a FEEL for them. When we approached Nature Kids Mercantile about hosting our new Knoxville Babywearing meetings, we fell in love with the store. There are so many beautiful, handmade items there. We knew Twilli Pie would be right at home. 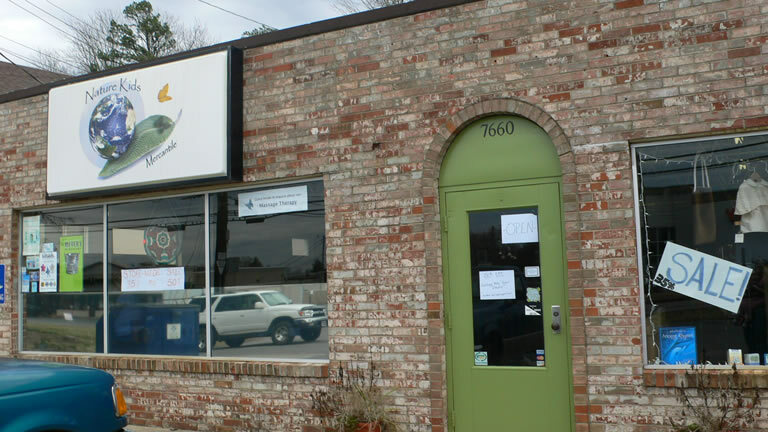 If you are in the greater Knoxville, TN area, check out the store and LEAVE A COMMENT. 🙂 Oh, and tell them TWILLI PIE SENT YOU! 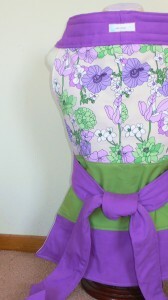 We are thrilled to announce the GRAND OPENING of our STORE on Etsy.com!!! We look forward to participating in the Etsy community. There are some amazing craftspeople there. Come check out the new store at http://twillipie.etsy.com. We have a couple of new beautiful pods in stock. The timing is nice because it also marks the end of an 8 year political era that officially comes to a close today. We are also experiencing our first snow, since we left the land of sunshine. (It’s Twilli’s 1st SNOW EVER!) We are meeting other cool local babywearers! We are excited about the new things on the horizon. Did you miss out? Fear not. We are working on more pods and will be stocking 2-3 by end of the week. Just a few days left of IN-STOCK SALE! We are almost settled in our new location in Knoxville, Tennessee. We are working on getting to know the local babywearers and adjusting to the cold weather. We have been planning the new Twilli Pie designs. Stay tuned for more information on the new pods we will be stocking in the next couple of weeks. View the PODEGIS we have in stock, at a GREAT SALE PRICE of $70 (regular price $105) here. SOLD OUT! OK. Moving day is breathing down my neck. Tomorrow we pack the UHaul trailer (MUCH CHEAPER than renting a truck btw…). Sunday morning we drive away from this warm, lovely, maddening place we’ve called “home” for 7 years. Please email me at renee@twillipiedesign.com to get a great deal on your podegi today! HAPPY BIRTHDAY to me – SALE!! Yup… it’s that time of the year again. 😉 To give thanks to my mom for giving birth to me, I’ve decided to pass the goodies on to YOU! We have a few TWILLI PIE PODEGIS in stock that you can get for a steal! – Only $70! Save $35!